b.) A minimum height of 60″. 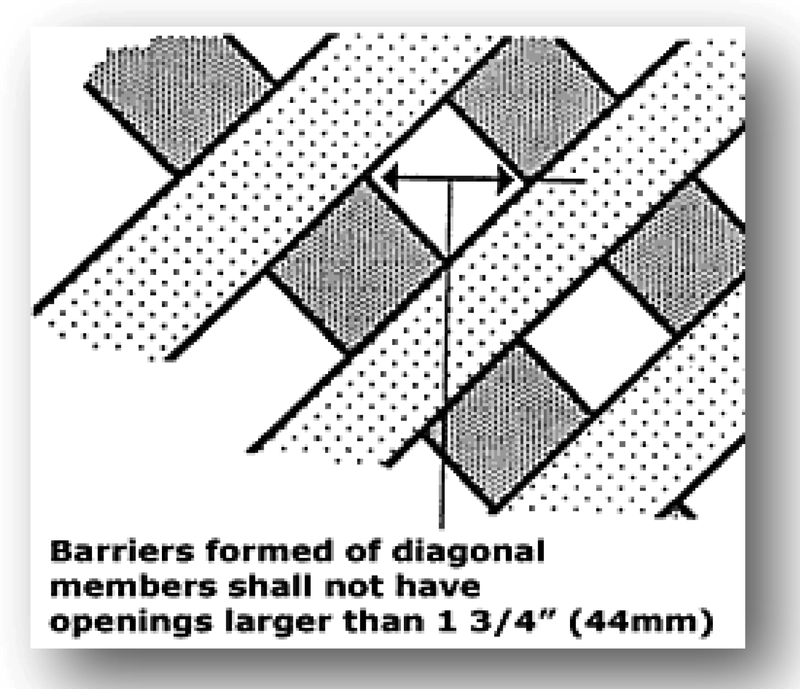 d.) Gaps or voids, if any, do not allow passage of a sphere equal to or greater than 4″ in diameter. of five years to climb over. accommodate a key lockable device. (To be used to comply with Code Requirements, this must be PERMANENT). equipped with a self-closing, self-latching device with a release mechanism placed no lower than 54″ above the floor. accidental or unauthorized entrance into the water and certified to ASTM F 2208. Other means of protection, if the degree of protection afforded is equal to or greater than that afforded by any of the devices set forth in (1) to (6) above, as determined by the Building Official. 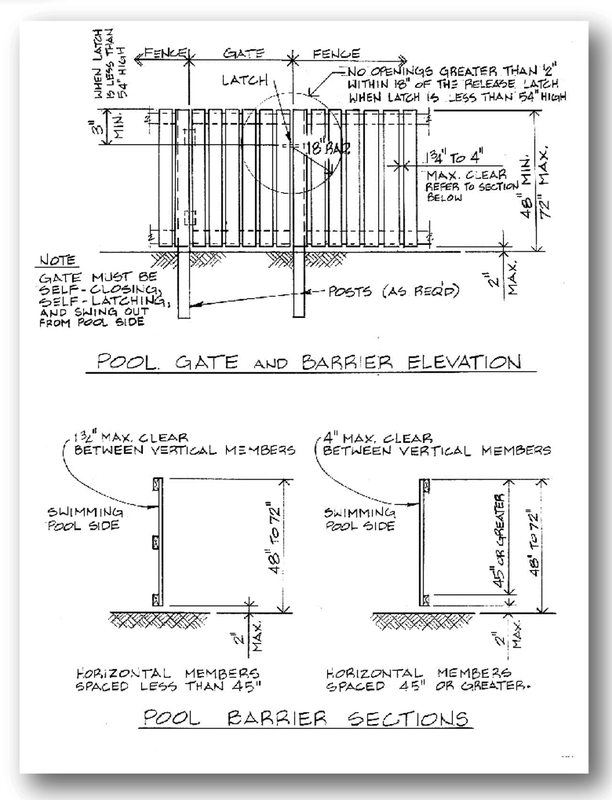 for the fence required that isolates the pool from adjoining parcels or buildings.